In the US military, there is a standing order that every enlisted man and woman are aware of, and that is the one that insists that you never, ever salute an officer outside while in a field operation. The psychology and strategy behind the order is to ensure that the enemy sniper or surveillance team is disabled from identifying the leaders of an outfit. By withholding salutes in the field, the US military ensures that its officers appear just as the rest of the soldiers. Even their shiny gold and silver rank insignias are blackened (or subdued) in order to blunt identification. For the US soldier, it is just as important to identify the enemy officers because they are responsible for the discipline, morale, orders, and strategy of the opposing force. Without officers (although some sergeants will argue) the military unit is much less effective. The idea is to not only take out the commanding officer, but the lower echelon of officers as well. Once the officers are removed, the job of clean-up is a heck of a lot easier. As part of the ongoing strategy in the Middle East, Operation Inherent Resolve (OIR) continues to make a hurtful impact upon ISIS, stripping the terror force of most of its punch through a series of stabs into the their supply lines and communications networks. Part of this push has also been a focus on the targeting of their officers. In this past month alone, the coalition forces led by the United States have managed to pick off an astounding 11 ISIS leaders! The U.S. led anti-ISIS coalition killed 11 Islamic State leaders between Sept. 16 and Oct. 12, Operation Inherent Resolve (OIR) revealed in a Tuesday statement. “The removal of these key terrorists disrupts Daesh’s command and control network, unmanned aerial system, or UAS, research and development, as well as funding of their terrorist activities,” OIR declared. 9. Abu Taburak, a UAS researcher and developer, killed Oct. 7, 2017 in Al Qaim, Iraq. 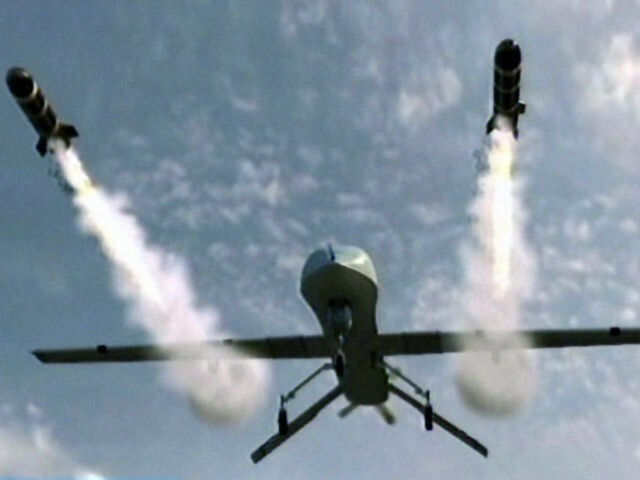 The leaders killed include terrorists involved in “procurement and R&D,” senior military commanders, administrative officials, and researchers focused on developing the terror group’s drone program. Notably, two of the ISIS leaders were killed in Iraq. “Eliminating these militant leaders and facilitators, directly responsible for command and control, research and development, and planning, degrades ISIS’s ability to conduct attacks on civilian targets in Iraq, Syria, and throughout the region,” the statement elaborated. What is amazing about this operation is that the US military has been able to so effectively target and track the units that are making the biggest impact on the ISIS forces as a whole and then take out their leadership in a matter of days. It is truly an incredible feat to do this with both pinpoint accuracy and with such resounding success. When Obama called ISIS the “JV team,” it was immediately apparent that he had never been in the military, nor had he even an amateur understanding of a military operation. To have made such a stupid statement showed his utter inexperience as a leader. Now that Donald Trump is in the White House, it is almost embarrassingly apparent how terribly inept the Obama presidency really was when it came to foreign military command.